Oroville Hospital Welcomes Neurology Specialist, John Schmidt, M.D. Oroville Hospital welcomes neurologist John Schmidt, M.D., F.A.H.A., to its staff of outpatient providers. He specializes in treating patients for neurological conditions such as stroke, seizure, headache, nerve disease, dementia or Parkinson’s disease. Dr. Schmidt’s interest in neurology and rehabilitation stems from his own experience with disability. While participating in a qualifying run for Army training at the age of 21 he suffered a stroke which left him with right sided paralysis. He spent months learning to walk, talk, read and write again with the help of family, therapists and doctors. While this experience might have discouraged others, Dr. Schmidt was still determined to attend medical school, earning a medical degree from the University of Minnesota in 1985. Following medical school, Dr. Schmidt completed a residency in neurology at the Medical College of Wisconsin and a fellowship in neurorehabilitation at the Weill College of Medicine at Cornell University. He spent many years in academia, researching and teaching medical students at the St. Louis University School of Medicine and the University of Rochester School of Medicine and Dentistry. With a focus on education and awareness of neurological conditions and associated disabilities, he has participated in many community discussions throughout his career. 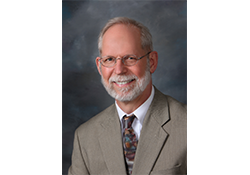 Dr. Schmidt recently left his private practice in Utah to join Oroville Hospital as its primary neurologist. In his free time he enjoys hiking, photography, wood carving, skiing, singing and dancing. Dr. Schmidt’s neurology practice accepts all insurance plans and is located at 2721 Olive Hwy., Suite 10, Oroville, CA 95966. For more information please contact (530) 538-3170.